Reports from residents of Northern Ambergris Caye are that dead fish are washing onshore at the Mata Grande area. According to these residents, hundreds of dead fish line the shores, making for a most unpleasant sight (and smell) for passersby. 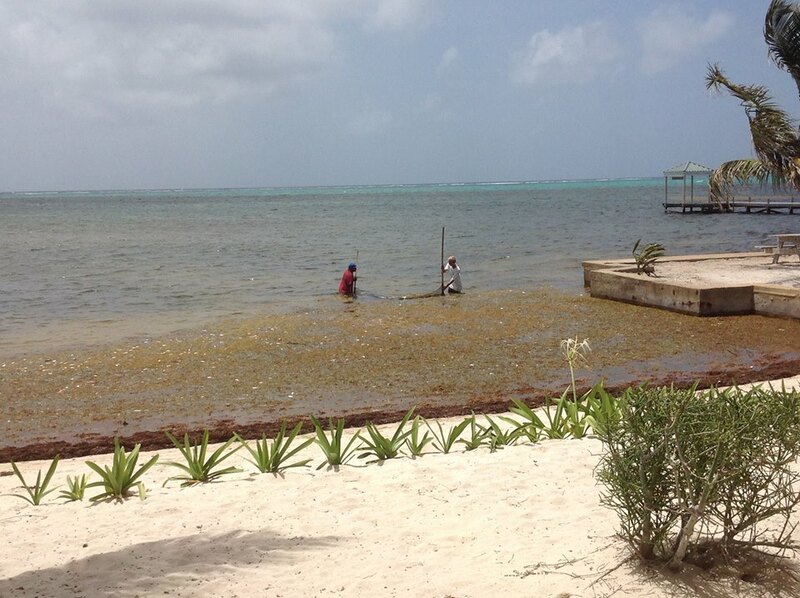 The Hol Chan Marine Reserve was notified and they have already identified the cause of the problem: Sargassum. According to Hol – Chan Marine Reserve manager, Miguel Alamilla, this phenomenon is due to eutrophication caused by the accumulation of the Sargasso seaweed. Sargassum is a brown microalga that floats freely on the sea and never attaches to the ocean floor. This type of seaweed provides refuge for migratory species and it is an essential habitat for some 120 species of fish and invertebrates. However, in the past months, massive quantities of Sargassum line the coast, affecting aquatic resources and even tourism. Investigations revealed that the great influx of Sargassum on the northern beaches of Ambergris Caye, especially at low tide, has dramatically led to a faster rate in its decomposition, giving way to the mass reproduction of bacteria, which in turn causes eutrophication. This activity causes negative environmental effects such as the death of aquatic animals. 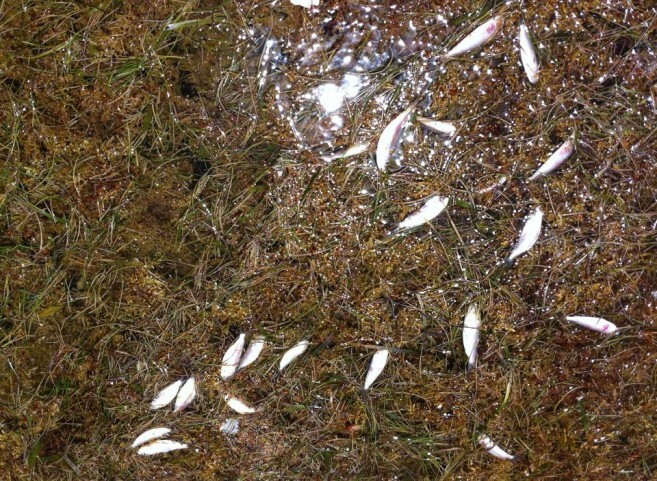 Alamilla believes that this is the cause of the dead fish appearing on the northern shoreline of the island. “Due to the accumulation of decomposing Sargassum and the increase of bacteria which consumes all the oxygen in the water, the living organisms such as fish perished due to the lack of oxygen in the water,” said Alamilla. The proper cleaning of the beach may prevent such incidents from happening; however, recent research has revealed that getting rid of the Sargassum may not be the best option. According to research, Sargassum plays a role in beach nourishment and it’s an important element of shoreline stability. It also provides food for turtles and sea birds and brings in nutrients to species along the beach. Residents in San Pedro are making the best use of the Sargassum, tackling the unsightly and smelly situation by turning it into a beach. Every Sunday, volunteers join the team of Build-A-Beach Campaign at 10AM, at the south end of the Sir Barry Bowen Bridge and then head out north to collect the Sargassum. The seaweed is gathered, spread it on the beach to dry, and buried in holes along the beach. In this way the Sargassum is used as a landfill nourishing the beach at the same time. Anyone interested in volunteering can meet the Build-A-Beach team at the Sir Barry Bowen Bridge every Sundays at 10AM.